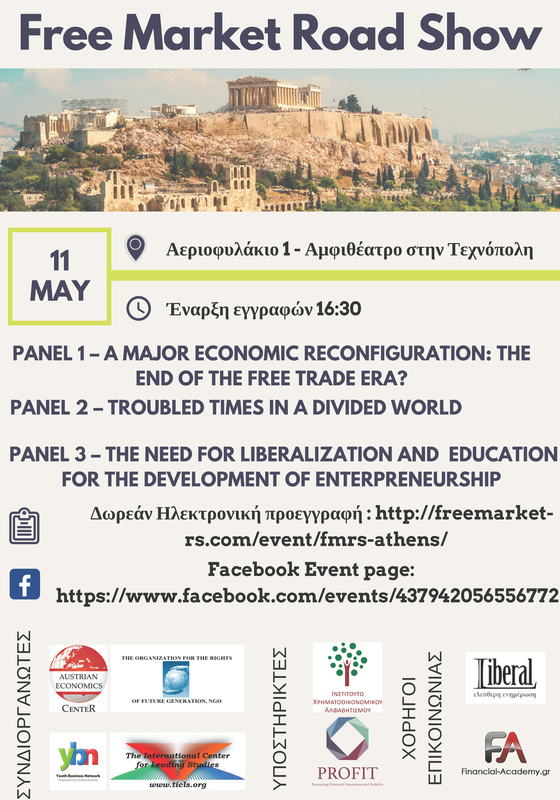 The PROFIT project supported the organisation of the Free Market Roadshow Europe, via the organisation of a dedicated session in Athens. 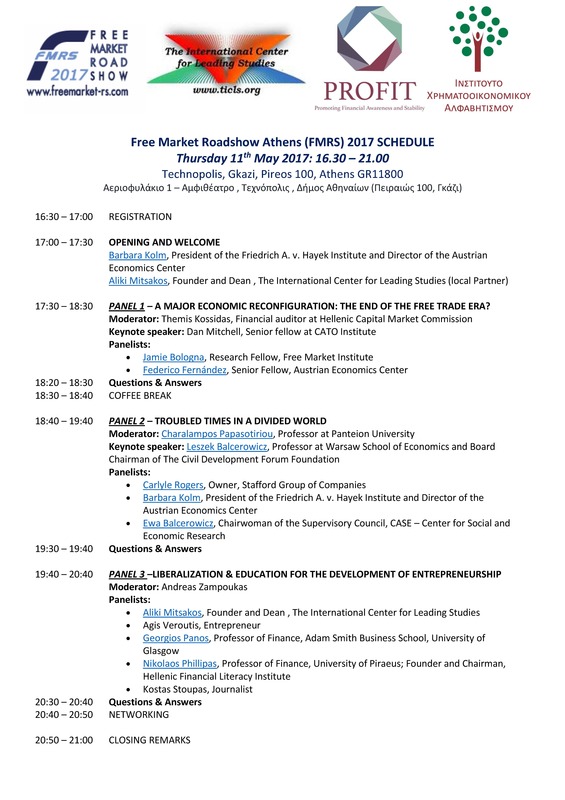 The roadshow was held at an amazing location in central Athens, at Technopolis Gkazi, in the afternoon of Thursday 11th May 2017. It was attended by policy-makers, practitioners, academics, students and the general public. 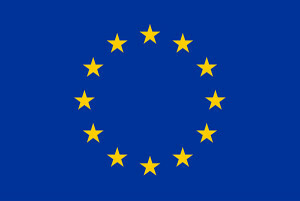 It was co-0rganised by the Austrian Economics Center and The International Center for Leading Studies (TICLS). The session was dedicated to liberalization and education for the development of entrepreneurship. Prof. Georgios Panos presented and discussed the relationship between financial literacy and entrepreneurship, based on his seminal work on the theme. He described financial education as a liberalization tool for open democracy and introduced the PROFIT project’s platform and its sections dedicated to entrepreneurship. Prof. Nikolaos Philippas, Chairman and Founder of the Hellenic Financial Literacy Institute and member of the PROFIT Forum talked about the importance of financial literacy in Greece. The conference programme involved a list of prominent speakers, experts and practitioners. Dr. Aliki Mitsakos, Dean and Founder of The International Center for Leading Studies and member of the PROFIT Forum talked about the need for entrepreneurship education and interdisciplinary approaches for literacy in several life domains in an era of complexity. A link to the event website is available here and the list of speakers is in the following link.